Fall is quickly approaching, and for those of you that love the season as much as I do, you’ll definitely want to know some fun ways to embrace it while living on campus. The weather gets cooler, the leaves change colors, and pumpkin is everywhere; it’s the perfect scene for some awesome weekend activities! So, for those fall weekends when you have no homework and your friends are looking for something to do, we’ve put together a list of our fave things to do during our fave season! Who doesn't’t love apple picking?! It gives you a chance to enjoy the outdoors, especially when the leaves are changing colors and getting ready to fall. Apple picking is even great for those of you on a health kick because as we all know, “an apple a day keeps the doctor away.” For those of us who believe that calories don’t count on the weekends, there’s always the delightful and sugary alternatives: apple pie, apple cinnamon donuts, apple pancakes, apple streusel, apple turnover, and baked apples with cinnamon. Amen to that. Visit the Beardsley Cider Mill website here for more info! Once fall comes around, I love decorating my room to fit the season. An easy way to do this is to decorate with some pumpkins! Whether they are small, large, carved, or painted, they are a fun and easy way to spice up your dorm room! Bonus: baked and salted pumpkin seeds are definitely a must-try delicious fall snack! Visit the Jones Family Pumpkin Farm website here for more info! Along with fall comes Halloween, so of course you can’t forget to go to some haunted houses! Grab a group of friends, buy some fun Halloween themed treats, and prepare to be spooked. It’s a fright – we mean night, you won’t forget. Visit the Legends of Fear website here for more info! Nothing says fall like a hayride! Stop by a local farm, grab a snack, check out the town shops, and enjoy a scenic hayride at sunset. What more could you ask for? It’s a match made in fall heaven! Visit Plasko’s Farm website for here more info! 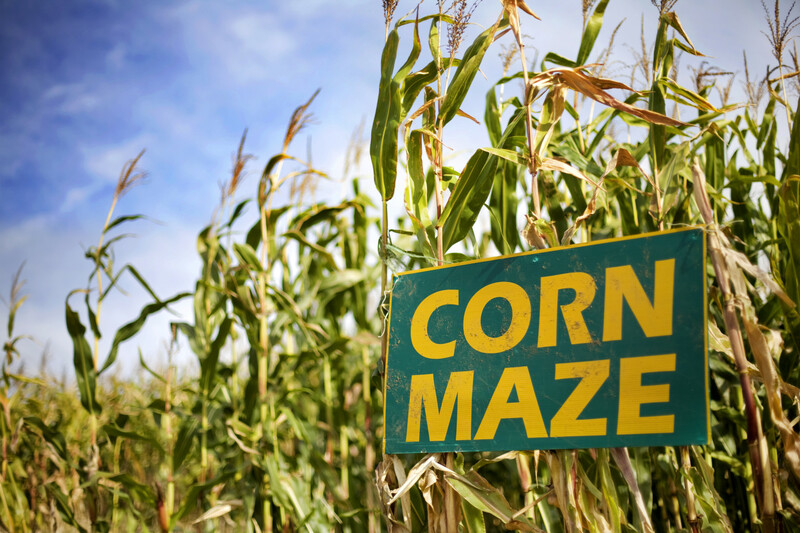 Corn mazes are a lot of fun with family and friends, especially if you have younger siblings. Bring them along and find your way through a ginormous corn maze. There’s also ice cream, pumpkins, cider donuts, mums, a farmer’s market, and some really cute farm animals so be sure to explore those too! Visit Plasko’s Farm website here for more info! Hikes are a great way to relax and enjoy some fresh air. Go by yourself, or with a friend to enjoy the scenic fall views and nature sounds of an outdoor trail. Enjoy the museum, sanctuary, and wildlife exhibit while you’re there as well! Plus, it’s great exercise so you can check that off your to-do list once you get back on campus! Visit the CT Audubon Society Birdcraft Museum & Sanctuary website here for more info! 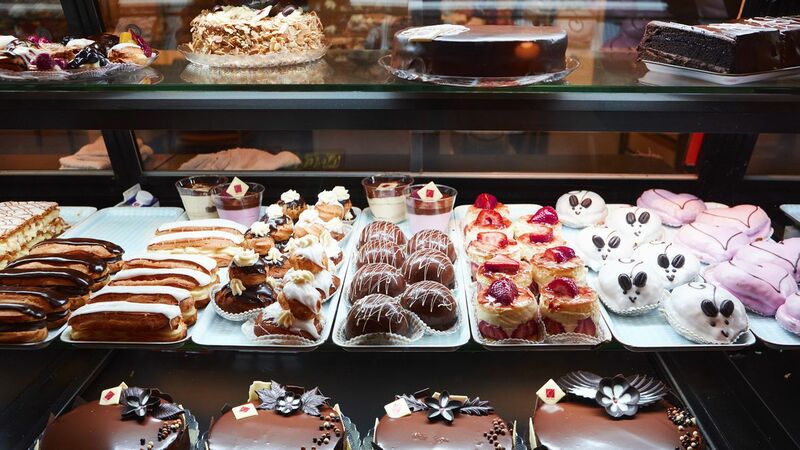 Last, but certainly not least, stop by Isabelle Et Vincent French Bakery on Post Rd! It is by far one of my ~faves~ and they make the best seasonal items for fall! Try their limited edition macaroons or the carrot cake – it is to die for! Visit Isabelle Et Vincent French Bakery website here! That’s all for now! Hope you enjoy these fun fall activities that you can do right here in Fairfield! Be sure to take tons pictures and make lots of memories! Hi everyone! I am a senior at Fairfield U and am currently studying Biology and Psychology with a Behavioral Neuroscience concentration. I love keeping up with current trends and headlines, therefore Her Campus article writing is my forte. Hopefully you enjoy my articles and continue to read Her Campus for any questions, advice, events, or activities you have ahead of you.